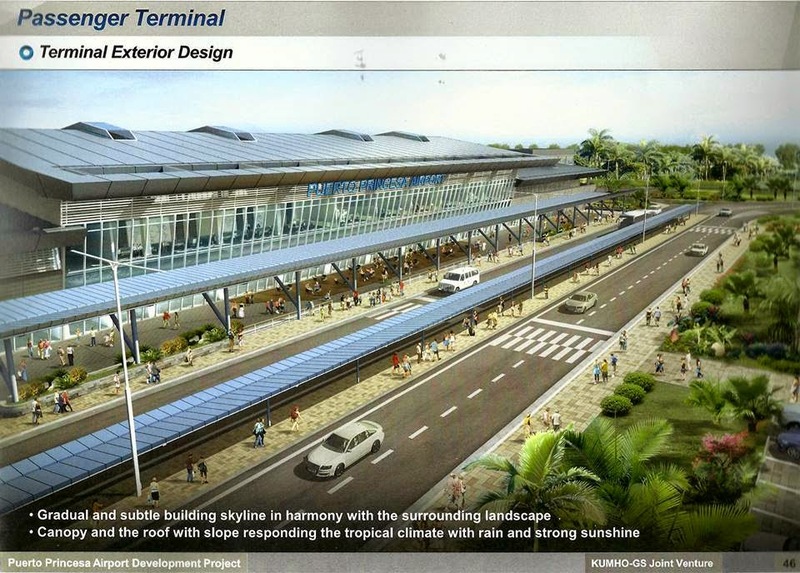 Aviation Updates Philippines - The Department of Transportation and Communications (DOTC) awarded the Korean tandem, Kumho Industrial - GS Engineering for the expansion and modernization of the Puerto Princesa International Airport in Palawan. For the expansion, Kumho-GS will include a new passenger and cargo terminal, apron, taxiways and navigation facilities by the end of this year. The project is expected to be operational in 2017. The Puerto Princesa International Airport counted 1.34 million passengers. But, the airport is only designed to handle 350,000 passengers a year. The project will create 1,400 jobs for the unemployed people in the Philippines. "The eco-tourism showcase that is Puerto Princesa, as well as the rest of Palawan, will soon have a modern, world-class airport which we can be as proud of as the destination itself. With beaches and other natural wonders attracting throngs of visitors from all over the globe, it will finally have a gateway that is befitting of its stature," Transportation Secretary Joseph Abaya told reporters. The project will be funded by Korean Export Import Bank through $71.612 million loan. It will be payed within 40 years with a concessional interest rate of 0.1% per annum. Puerto Princesa International Airport will be the main gateway for the tourist spots in Palawan, just like Puerto Princesa Underground River which is very popular for tourists.